The bankruptcy laws have changed several times in the last forty years, most notably in 1978 and again in 2005. Both times, the changes were mostly pro-creditor. Will the law be changed again anytime soon? For its first one hundred years, the United States basically had no federal bankruptcy law. Individual jurisdictions dealt with debtors and creditors in the way that best suited the local conditions. That changed in 1978, when Congress created the Bankruptcy Code. While a central code does give the system more stability and predictability, judges effectively lost the power to tailor individual solutions for individual cases. The Supreme Court initially challenged the legality of the new scheme; later Congressional amendments in 1984 alleviated these concerns. When actor Burt Reynolds filed bankruptcy in 1996, the exemption laws allowed him to keep a house valued at over $2.5 million while writing off over $8 million in debt. When Congress took the first steps towards changing the bankruptcy laws in 2001, Senator Herb Kohl (D-Wisconsin) specifically cited to this fact. Congress went on to pass the Bankruptcy Reform and Consumer Protection Act of 2005. President George W. Bush, whose largest corporate donor was credit card issuer MBNA, promptly signed the measure. The 2005 law ushered in some big changes, most notably the means test. A handful of debtors became ineligible for Chapter 7, and some of those in Chapter 13 were required to pay back more of their unsecured debts over a longer period of time. The jury is still out regarding BRACPA, so it is too soon to tell if more reforms are forthcoming. If Congress does take additional action, such a move would almost certainly benefit moneylenders instead of debtors. For a free consultation with attorneys who are on your side, contact our office. 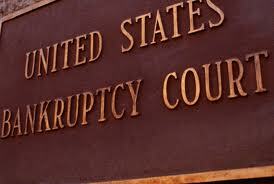 This entry was posted in Bankruptcy, Debt and tagged Bankruptcy Code, Bankruptcy Reform, BRACPA on April 9, 2014 by Michael Faro.